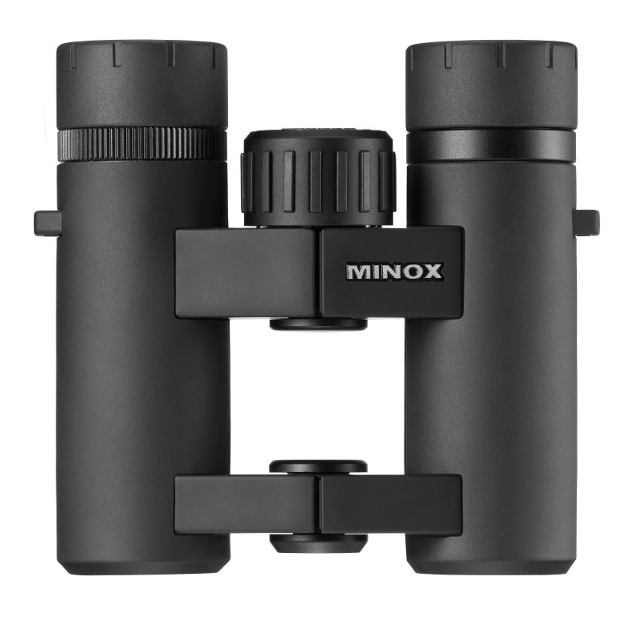 The new Minox BV 10x25 binoculars are especially characterised by their lightweight polycarbonate open-bridge construction to facilitate a secure, one-handed operation and firm grip, even in conditions of extreme cold or wet - perfect for maintaining mobility and stealth when in wild places. The powerful light-gathering optical systems feature multi-coated lens elements that guarantee the best optical performance and neutral colour rendition of the object in view. Thanks to the roof prisms with phase-correction coating the user is offered an image with exceptionally high detail rendition and sharp high contrast, also in low light. MINOX also accounts for the individual requirements of people wearing eyeglasses. With the extended eye relief the entire field of view can be enjoyed without vignetting, also when wearing eyeglasses. Rotating rubber eyecups with individual adjustment are further convenient features. The Minox BV 10x25 binoculars include a neoprene strap and an ever-ready case.